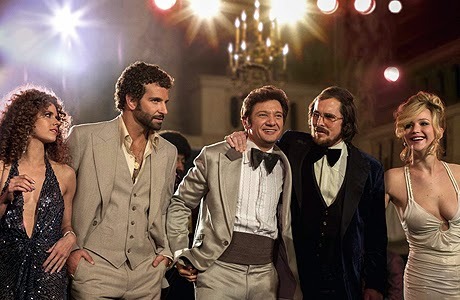 4 Reasons to Watch "American Hustle" and 3 Reason to Not. But in a good way. Sure, there are a few moments where you start to feel the twinge of your eyes rolling their way back into your head, but the character is over-the-top and Jennifer Lawrence unapologetically goes for it. 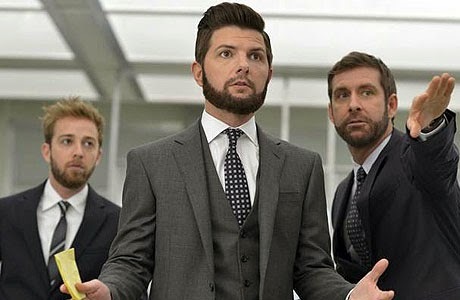 If ever you need to feel good about being follically challenged, take a gander at the wig work in this film. It’ll immediately pump your tires while reminding you that nothing good ever came out of the 70’s. The movie is a collection of great talent (for the most part) performing at peak levels. Sure the script is not that good and thus the production feels like a showcase of talent rather than one cohesive narrative, but like the NBA All Star game, there is just enough raw talent to overcome this and provide adequate entertainment value. 3. BECAUSE BRADLEY COOPER IS OVERRATED. 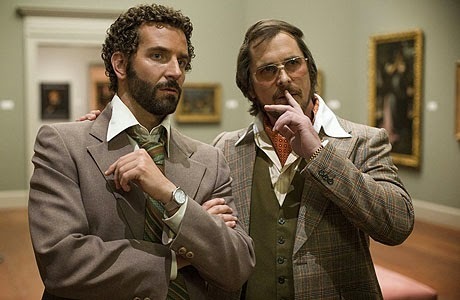 After one good turn in "Silver Linings Playbook," society as a whole has decided that Bradley Cooper is actually a great actor. I've yet to see this point validated. 2. THE SCRIPT IS GENERIC AND INCONSISTENT. This movie is the definition of a script written for the sake of making a movie. Is it loosely based on real events? Sure, but the key word is loosely. What is fiction turns out to be pretty unimaginative and the consistency of the characters falter under the weight of this flawed plot. And the minute you walk out of the movie, you'll immediately decide there's no need to ever see it again. 1. BECAUSE THE VIEWER IS LEFT WITH NO SKIN IN THE GAME. 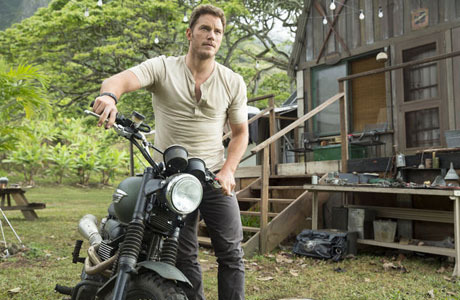 Almost every good movie has a likable person to root for regardless of whether they are to come out on top or not. 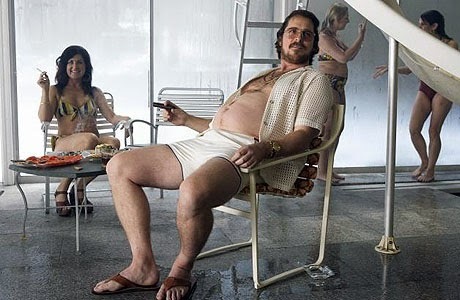 Most everyone in American Hustle is drenched with the stink of deceit and corruption, making it hard for the viewer to become invested in any one character. 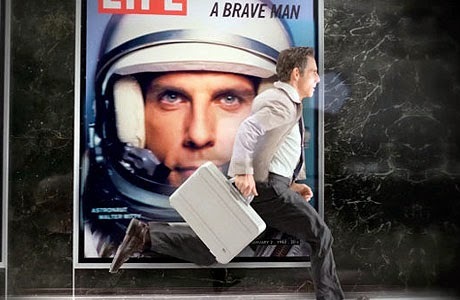 7 Reasons to Watch "The Secret Life of Walter Mitty"
For print journalism. That may only resonate with those who once aspired to be a professional scribe, but it’s a phenomenon that’s impacted the masses. The kind of boss who has an MBA and uses terms like “synergy” and “ROI” as if Moses had chiseled them on the tablets along with the "other" 10 Commandments. By making me not hate Sean Penn for about ten minutes. 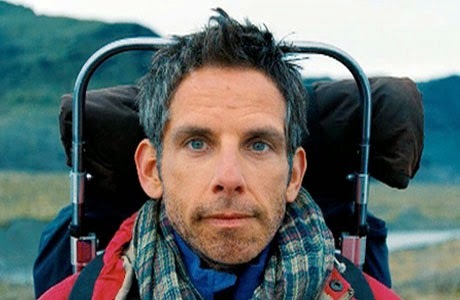 Normally I find him absolutely nauseating, but this role amazingly casts him in a different light though I think that has more to with director/actor Ben Stiller than with Penn himself. When he is playing the everyman, as opposed to the creepy quirky characters which he has more recently gravitated towards. It’s not a great performance but it’s one that’s easy to root for. Most know her for her SNL and Bridesmaids physical comedy hijinks but she does nice a good job of playing the type of woman you would want to take home to meet mom. The Ad Pub folks at Expedia could not have scripted it better. From the peaks, the valleys, and the depths of the deep blue sea, the beauty of nature captured on screen will make you want to tear off your business casual, grab your passport, and run out the door. It’s not a groundbreaking film and it's a bit offbeat, but what may really throw viewers off is that at times the plot unfolds like a very slow burn. 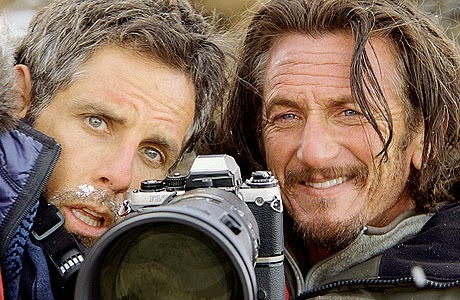 Still, I suspect that this was exactly Stiller’s intention as the film is more about the discovery of self than it is a journey across physical and geographical borders. Thus action and pace take a back seat to fleshing out various internal machinations. 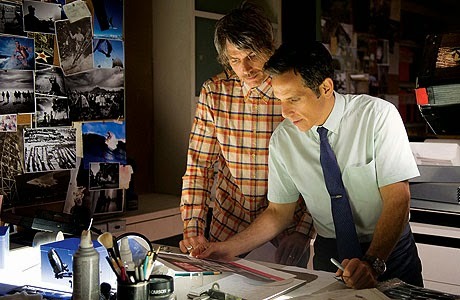 8 Reasons to Watch "Her"
From top to bottom, Her features stellar tracks from Arcade Fire and the Breeders, but The Moon Song written Karen O and Spike Jonze (performed by Joaquin Phoenix & Scarlett Johansson) is the gem of group. Amy Adams had quite a year with American Hustle, Man of Steel, and Her. While Her is not the best work turned in by Adams, she is very good as a well-intentioned friend to Theodore Twombly who likewise is coping with a less than stellar love life. The cinematography in this film is top notch as the camera masterfully frames a futuristic Los Angeles by blending its iconic landmarks with new state of the art architecture. It's billed as a clever romance set against a futuristic backdrop, but it is dripping with satire. 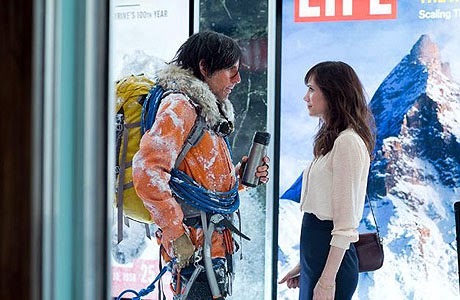 The result is some genuinely funny laughter-inducing moments that nicely balance the more dramatic elements of the plot. 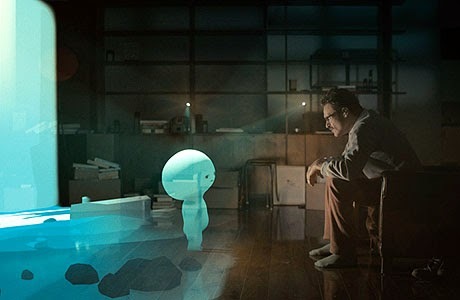 The sense of disconnect that permeates this film is pungent and ironic given society’ seamless connectivity to technology. Jonze’s script exploits this condition to make a statement on emotional evolution. While you never see her onscreen, Johansson feels omnipresent. Her casting represents a stroke of genius as her unique voice helps to lend an almost palpable form to voice without a body. Phoenix has made a living successfully portraying complex characters dealing with unusual circumstances so it should come as no surprise that he is able to bring to life a most unconventional romance. Lost in Translation. Depending on whom you ask, Lost in Translation was a semi-autobiographical look at director Sophia Coppola’s failed marriage to Spike Jonze. And depending on whom you ask, Her is a complimentary piece to that film. While the film is great on its own, this extra layer of subtext makes the respective films all the more intriguing.